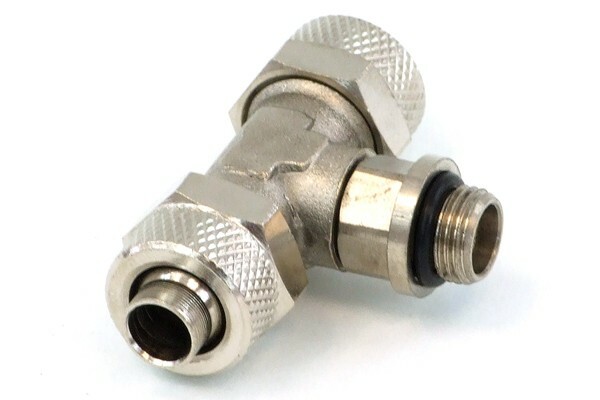 Robust high-quality fitting with cylindrical thread (G1/4") with two opposing hose connectors (T-fitting). The hose is fixated by a union nut to ensure a tight and quick seal which can be released which can also easily be removed with one hand. This system ensures maximum safety and ease of installation. With integrated 1/4" Perbunan(r) O-Ring seal.